After seeing the news on Facebook about the Pittsburgh synagogue shooting, I sank into my living room chair, phone glued to my hand as I scrolled for more information about what had happened and why. My shoulders began to shake under the weight of what had been lost; tears fell as I succumbed to the darkness that seemed to be enveloping our world. This has become a pattern for me lately: feel shattered by a current event, express my outrage and lament over the state of the world, build up a sense of normalcy in the aftermath, watch as that sense of normalcy is obliterated by the next tragedy. In these moments, the weight of deeply flawed human systems is crushing, extinguishing every bit of hope and leaving me fumbling around in the darkness. When terrible things happen — whether in my life or in the world at large — I tend to get stuck inside my own head, at least for the first few days. I replay events over and over in my mind; I imagine what it would have been like to be there, to witness the horror of the moment; I withdraw from the people around me as I try to process the pain. No good usually comes of this. Often, I become increasingly fatalistic and begin to believe that there is no hope. But on this day, simply by finding someone who was there in the darkness with me, I felt hope ignite. Instead of letting the day’s news fester inside me, instead of drawing deeper into myself and shutting everyone out, I reached out to a friend, trusting somehow that she would grab hold of my hand. We were both feeling hopeless, to be sure, but in feeling hopeless together we were able to recover some small sparks of goodness too: that we weren’t alone, that we were both broken for our fellow humans, and that we wouldn’t stop caring or become desensitized, no matter how frequently we hear about this kind of tragedy. Perhaps the most rebellious thing we can do in the face of tragedy is not to naively believe it will all be OK, but to acknowledge that we’re stumbling around in the unknown. 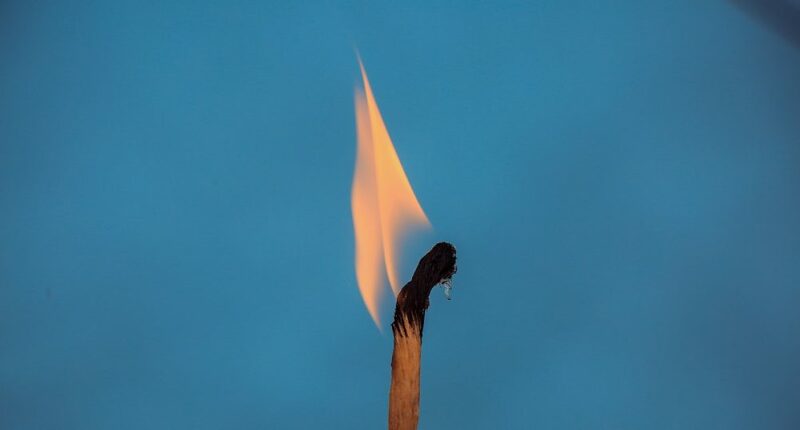 To light a match in solidarity with each other and in defiance of the darkness. To hold fast to one another as a source of hope. After all, God has pressed his image and likeness into each one of us. By looking to each other, we look to the goodness and hopefulness of God and we remind each other who we are: people who are charged with bringing the kingdom of heaven to earth – not someday, but right now. Surely there will be another moment, probably sooner than I would expect, that will extinguish my hope and cause me to feel alone once again. But now I know where to find my fellow humans: in the darkness with me, ready to light a match and find the way out. Brittany L. Bergman is a writer and editor living in the suburbs of Chicago with her husband and her daughter. 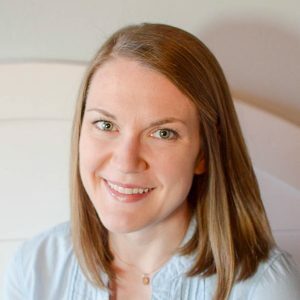 She is passionate about living simply, savoring motherhood and finding the sacred in the everyday, and you can find her writing about these pursuits at brittanylbergman.com. You can also find her on Instagram.